The autumn always marks the present making season kicking into overdrive for me. Last month I posted photos of the toy dog and the granny hexagon waistcoat I made for my niece, and this month it was her brother’s 10th birthday. 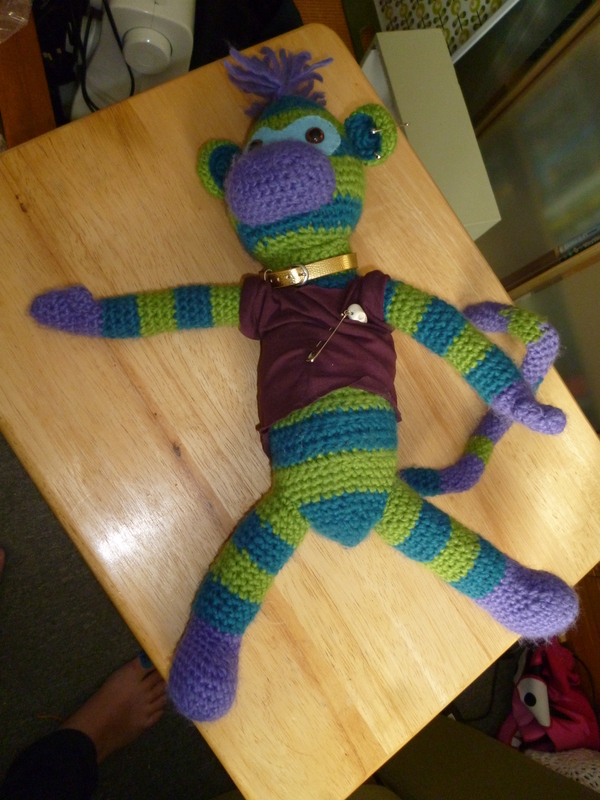 He’s always had an obsession with monkeys, so I decided to crochet him one from the soft chunky acrylic yarn that I bought from Tiger (£1 per 50g ball! 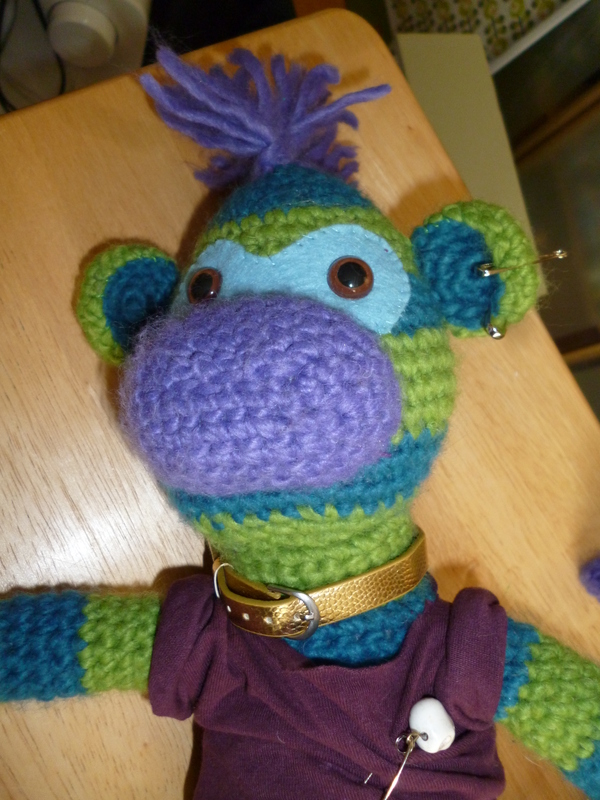 ), but in deference to the fact that he is not such a little boy any more, I chose to make him a punk monkey complete with purple mohican and safety pin piercings! I made these cute little felt pots weeks ago, but I’ve only just gotten around to adding them to my Etsy and Folksy shops. 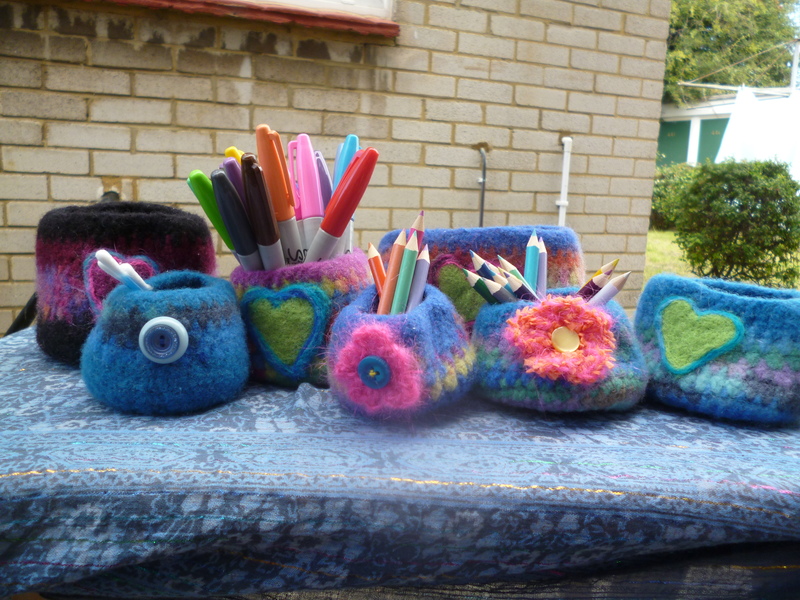 I improvised rather than using any kind of pattern, crocheting the pots from felting wool I got on sale from Deramores . Some of it was Rico Design Creative Filz and some was Adriafil Crea. They felted up reasonably well in my front loading washing machine, and I hid the less well felted areas underneath the motifs I added for decoration.The hearts were the first real success I’ve had with needle felting, and I’m definitely going to be trying it again. As long as you keep your fingers away from the business end of the needle, the stabbing motion is very therapeutic!